Some items are singularly associated with their product category. Xerox for copiers. Kleenex for tissues. And Kraft’s “blue box” for mac-and-cheese. But is it really the best? If you don’t ponder this question often, odds are you’re not a parent. Some of us depend quite a bit on the small blue box for our child’s sustenance. Even among picky eaters, it’s usually a guaranteed winner. Yes, I know that mac-and-cheese is not too tough to make. Believe me, I know. For years, I slaved over Emeril’s four-cheese mac-and-cheese, complete with breadcrumbs, but no matter which recipes I tried, nothing ever surpassed Kraft Macaroni & Cheese Dinner in my kids’ estimation. (If someone knows of a baked mac-and-cheese where the sauce doesn’t completely disappear in the oven, please, send me your secret.) It’s even served at various Chicago museums, where my daughter would much rather have me pay three dollars for a serving than partake of chicken nuggets and fries. 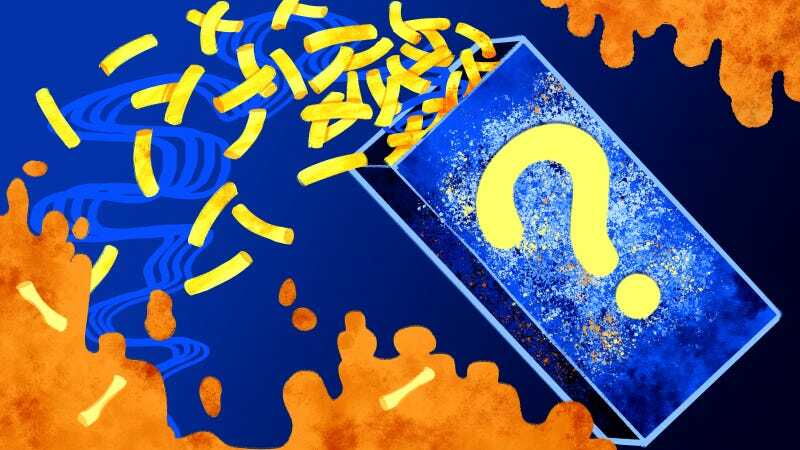 Kraft has had a long time to perfect what debuted as Kraft Dinner in 1937. It was based on an idea from a Great Depression-era traveling salesman who began selling macaroni and cheese together as a package, attaching grated cheese to boxes of pasta with a rubber band. The dinner kit then became popular during the meat-rationing war years. The box turned blue in the ’50s, and has been a staple in many a kitchen ever since. Other brands do line the mac-and-cheese aisle at the grocer. I had purchased the blue box for so long, I wanted to know if it would really stand up against other box mac-and-cheese items. To help, I drafted the biggest mac-and-cheese fans I know: my children. We made four boxes over the course of a Sunday night and then waddled around helplessly like a family of Weebles. My daughter said the experience might have cured her of her mac-and-cheese obsession. For journalism! Let me tell you why I prefer this box mac-and-cheese primarily from a preparation standout: It does not have a powder. You simply squeeze a pouch of Velveeta (a.k.a. “Liquid Gold”) into the cooked shells. You no longer have to measure a 1/4 cup of milk and pray for the powdered cheese sauce to somehow combine with the butter and milk to create a sauce. It’s already a sauce. And a damn fine one, I might add. My co-tasters did not agree. My daughter called it “gloppy.” Also, “too cheesy.” (Like there is such a thing.) My son just didn’t like the taste of Velveeta, and if you don’t like Velveeta, you are not going to like Velveeta Shells & Cheese. Ingrates, I tell ya. Along the same lines, this organic dinner was like water in noodle form—so close to tasteless, I couldn’t believe it was actually billing itself as anything cheese-related. The kids pointed out that the final cooked version was much paler than the version on the box. But somehow, this was my daughter’s favorite. The sauce did have a nice consistency; it’s just that the sauce didn’t taste like anything. I can’t really recommend it to you based on her recommendation, though, as this is from a notoriously picky eater who thinks buttered noodles makes for a fine dinner, and who would rather just live off that 7-pound tub of Nutella if we let her. Ahhhh, here we go. Some things are classics for a reason. Making all these side by side, I realize that it’s probably Kraft’s incorporation of double the amount of butter (four tablespoons next to Annie’s and Back To Nature’s measly two) that helps it nail that all-important creaminess. But next to those healthier, organic options, it was like a symphony. Guess it all depends on your priorities. My ultimate lesson from this all-important taste test of boxed mac-and-cheese? Unless you’re spending the time making cheese sauce from scratch, there is no reason to try anything else when Kraft Macaroni & Cheese exists. My son enthused, “Can you make this all the time, Mom?” Oh, I do, son. I do.